India is a very interesting market for BorgWarner, a global leader in clean and efficient technology solutions, due to its increasing environmental awareness and ambitious policies concerning emissions and electrification – which we welcome and for which we have many technology solutions. The biggest challenge at the moment – and at the same time a huge opportunity – is certainly the introduction of BS (Bharat Stage) VI emission standards. Let's take a look at the topic in a broader context first. India is an economic powerhouse that is set to grow even stronger in future. This creates a growing market which is important to both suppliers and manufacturers. The increasing number of working people and the resulting increase in the middle class are reflected in rising demand for private vehicles. Demand for cars is growing steadily and India is expected to become the third largest car manufacturer globally. An eBooster electrically driven compressor. By enabling engine downsizing, eBooster technology claimed to improve fuel efficiency by 5 to 10 percent in combustion and hybrid vehicles. This solution virtually eliminates turbo lag. If we look at a few figures, the market dynamics become clearer: Plans are to sell more than six million hybrid and electric vehicles annually from 2020 onwards. Thirty-one percent of all small cars sold worldwide are already produced in India and most international automotive companies have production facilities in India. Current trends such as more environmentally friendly, low-emission vehicles play a major role in the Indian automotive industry. The Indian government has strongly committed itself to the growth of the electric vehicle market – its goal to have only EVs on sale by 2030 is highly ambitious though. Nevertheless, these facts hold a high potential for BorgWarner as a global leader in clean and efficient technology solutions. As a company, we have dedicated ourselves to providing the right propulsion technologies at the right time. We saw the development towards electrification early on, so we already have a strong portfolio of solutions complementing that trend and we can help automakers master the challenges posed by ever-stricter emission standards and pave the way for a zero-emissions future. We have already gained comprehensive knowledge in the field of emissions reduction worldwide, so we will be able to draw on a lot of experience when it comes to solutions that help meet BS VI emissions standards. Regarding these new standards, we will probably see cost emerging as a key area. Upgrading systems to comply with BS VI will come at a price, so we are also developing a local supplier base to supply components for making exhaust after-treatment systems more cost-effective. In addition, the rise of different hybrid architectures and electric propulsion systems is a great opportunity for us – we already have a strong portfolio of hybrid and electric vehicle solutions and we will continue expanding it in future. 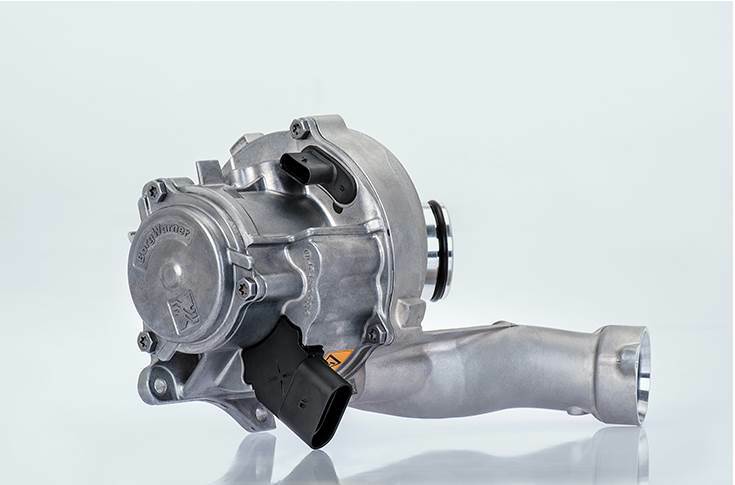 Nevertheless, to be competitive in the market BorgWarner has to balance fuel economy, performance, emissions and cost of its technologies. Fortunately, we already have comprehensive experience with stringent emissions standards from our European business, so the biggest concern will be identifying the right technologies for the Indian market. In our opinion, turbocharging and variable valve timing are key to meeting BS-VI standards, so we expect these technologies to be widely used. The Indian market has great potential for turbocharging solutions, and we expect the majority of combustion engines to move from conventional multi-port fuel injection to turbocharged gasoline direct fuel injection. This reflects the increasingly stringent regulations as well as a demand for higher performance and fuel efficiency. Both the stringent new emission standards and the ambitious electrification policies in India will mean that new technologies will have to be implemented in the market. This will likely bring about increased localisation and changes in material usage, as price will be a key factor in future. We have seen a very stable growth in the market so far, so we are confident that the next years will be good ones for OEMs and suppliers alike. Every one of our products follows the goal of lowering emissions, and we will further present a broad range of solutions for combustion, hybrid and pure electric vehicles. Due to the introduction of the BS VI emission norms by the Indian government, particular attention will be paid to propulsion technologies for hybrid and pure electric driving. 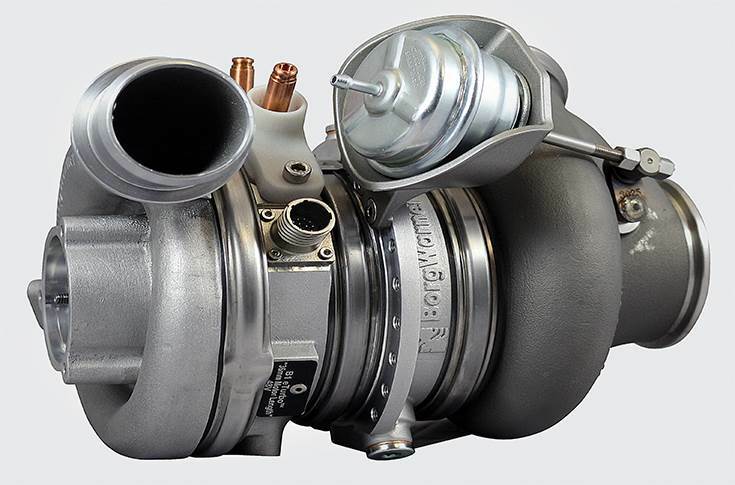 From turbocharging, which has enormous growth potential in India especially in the field of gasoline engines, to engine timing systems, which we predict will be widely adopted as a solution for meeting BS VI standards. 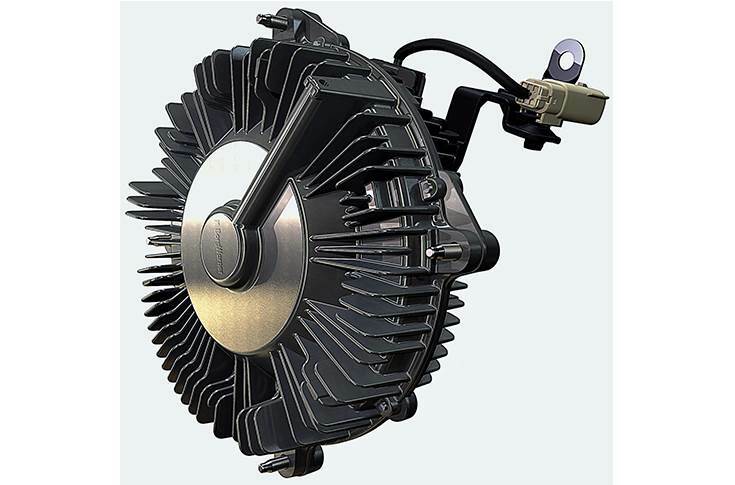 Concerning more advanced technologies for hybrids and electric vehicles, our extensive portfolio contains the eBooster electrically driven compressor as well as the eTurbo electrically assisted turbocharger, high-voltage air and coolant heaters plus our integrated electric Drive Module (iDM) – a complete solution promoting electric mobility. Therefore, we are ready to supply our customers with the right solutions at the right time – and for the right price. The most effective approach has already been taken – OEMs and suppliers are working together constructively to find the right solutions for the new emissions standards. For BorgWarner, our largest advantage is our extensive global knowledge and expertise that we can tap. On the other hand, we do not just import everything – quite the contrary! We already run four production sites in India with a long tradition, in Chennai, Kakkalur, Manesar and Talegaon. We are also developing a local supplier base in order to make our solutions more cost-effective – this includes after treatment systems as well as our new generation of Visctronic fan drives for commercial vehicles, off-highway applications and light trucks. However, the new standards are part of a very promising development in India: the steady migration of the market towards next-generation technology. As a global leader in clean and efficient technology solutions for all propulsion systems, the potential this migration holds for us is very exciting and we are confident that we can make a significant contribution to the drive for more environmentally friendly and modern mobility in the whole region. We are very optimistic and confident that there will be more investment in the Indian market.